Marriage is a blessed sacrament in the Church and a hope-filled time of celebrating God&apos;s grace through the love you share for one another. Your wedding day will be a very special day for you, and we want to help you prepare for it as well as we can. We also want to help you prepare, not just for the special day, but for your entire married life together. Because marriage is a sacrament in the Catholic Church, it is not only a very special moment for the two of you, but it is also a sacred event for all of us. We need at least six to nine months time to prepare for your Sacrament of Matrimony. 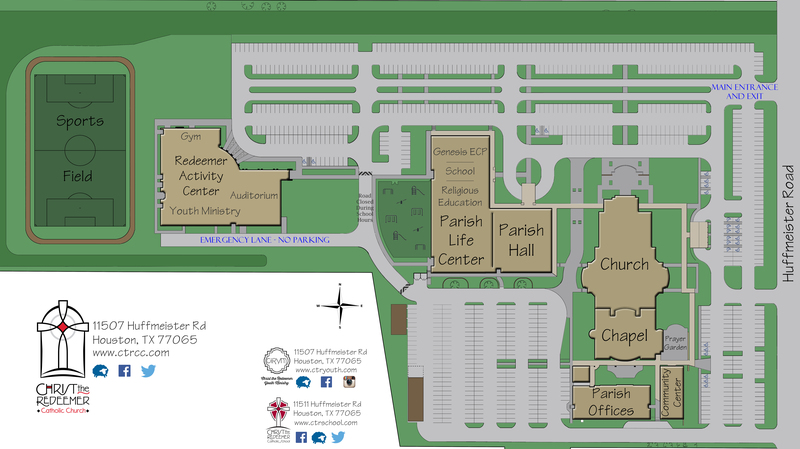 One of you, or your parents, must be registered members of Christ the Redeemer Catholic Church. If you are newcomers to the parish, you are expected to be registered to become active members of the parish for at least six months before the scheduled wedding. We also encourage you to introduce yourself to the clergy and discuss your plans for marriage. The first step in preparing for your Sacrament of Matrimony is to fill out the Marriage Preparation Inquiry form. After filling out this form, the Director of Family Life will contact you for an initial interview. The Director will schedule for you to attend an Engaged Couple Orientation. Once you have attended this, the clergy and Family Life Ministry will guide you through the preparation process. Weddings are celebrated on Saturdays at 11 a.m., 2 p.m. or 7 p.m. Before your wedding ceremony date can be set, you must attend the Engaged Couple Orientation and meet with the priest/deacon who will preside over your ceremony. Visit other pages on our website to learn about couple and marriage enrichment. Christ the Redeemer celebrates many marriages every year! See an overview video about the Catholic Rite of Marriage from the USCCB. Share this video with someone else you know who&apos;s planning to marry. Go on a date with your spouse! Join us for this great program.